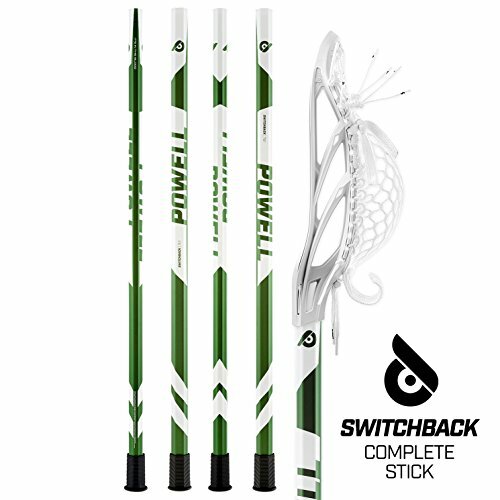 The stick is the main equipment in lacrosse. It is used to move the ball up and down the field to attack as well as defend against the opponent from doing that. The game rule permits one and two-handed stick checks, as well as closed handed stick-on-body check. Therefore, if you have the ball, you are prone to slashing and hacking from defenders and midfielders. They aim to knock the ball loose by hitting your glove or stick, but in all this, it is your body that takes the brunt. 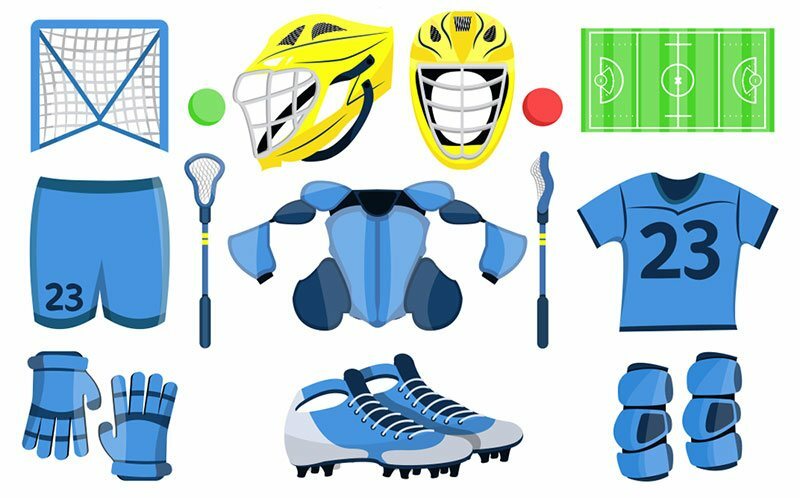 It is therefore essential you are protected with the best lacrosse arm guards, one that does not impede shot, catch, throw and mobility. 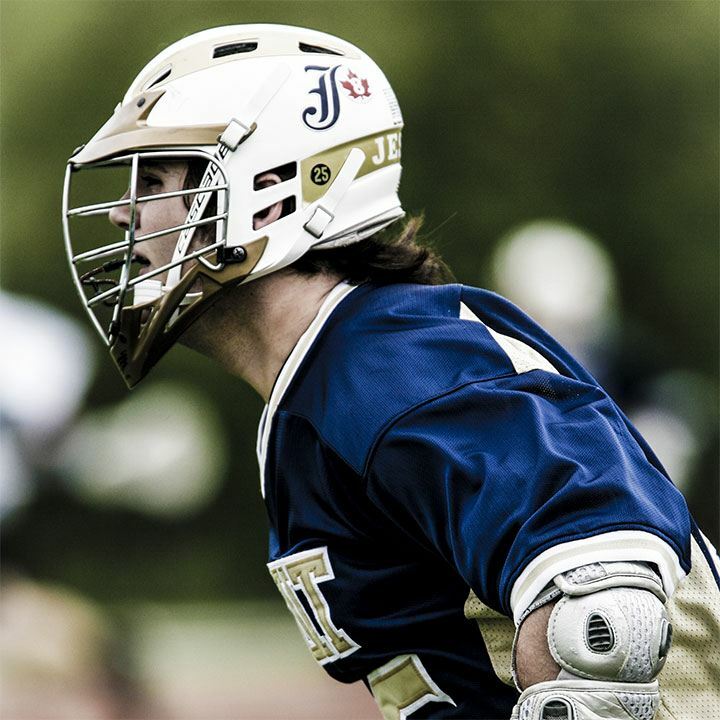 Lacrosse arm guard is an essential component of a player’s equipment. Your arm holds the ball and will be hit time and again by the opponent sticks. 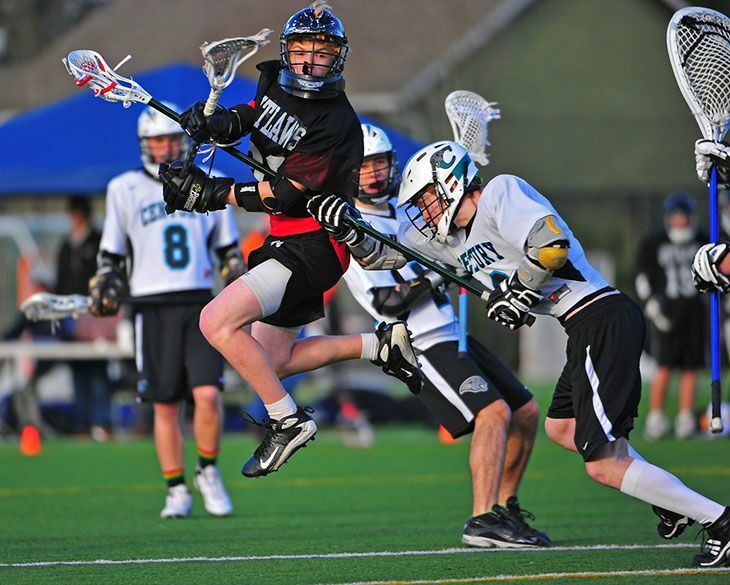 A lacrosse arm guard should protect the elbow and surrounding areas without disrupting mobility. Below are the top three at a glance. This is an advanced piece of equipment for top-level players. 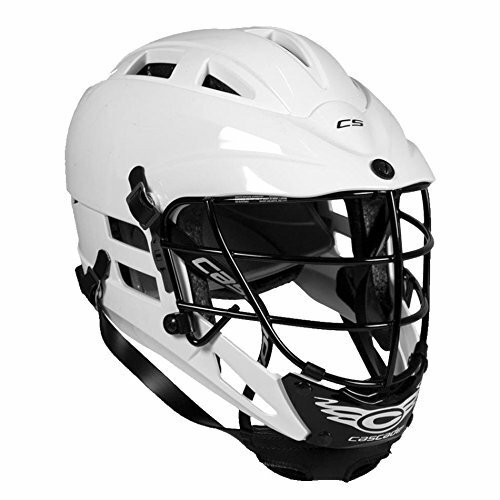 It was designed by engineers that double as lacrosse players with the aim of creating the ultimate lacrosse protective gear. This protective gear was produced using the most technologically advanced materials to bring about a Sandwich Locking System, Phase Change Technology, carbon, and a Tri-Layer Dual Density Foam Stack. Its Phase change technology is similar to the lining in the space suits of astronauts used for temperature regulation. It Is brought about by using high-performance textiles engineered to absorb, store and dissipate heat for moisture and thermal control. With this arm guard, your moisture and temperature needs are covered. The revolutionary sandwich locking system is in place to eliminate arm guard slippage. While leaving space for customization for fitting and added protection. 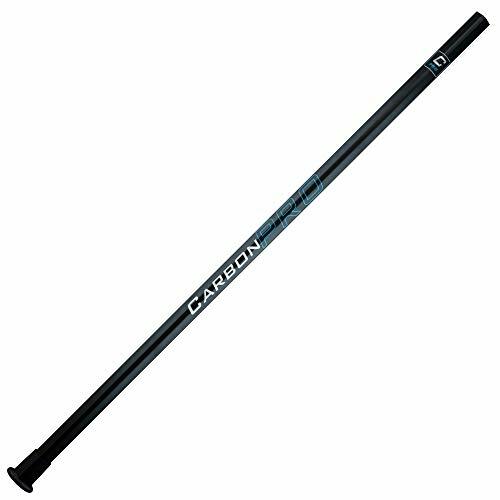 This product is incredibly lightweight – it is made from carbon fiber which protects the player from high-level impacts while remaining scratch resistant. The Tri-Layer Dual Density Foam reduces the stitches on this pad, improving protection, movement, and flexibility. 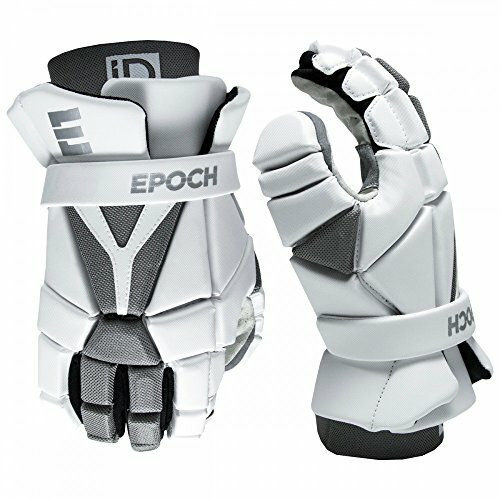 If you are searching for a top-level arm guard, look no further, the Epoch Lacrosse Integra Arm Guards will meet all your protective needs. This arm guard is popularly hailed as the next generation of high-definition arm guard. 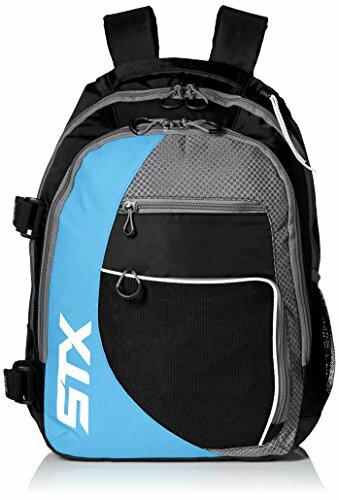 This product enhances the reputation of STX’s high-quality range of lacrosse equipment on the market. 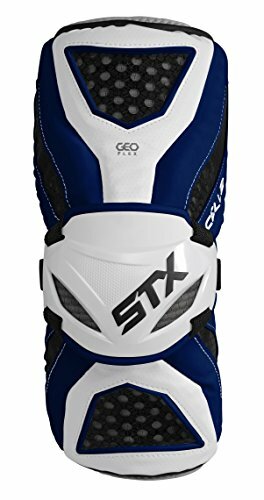 The STX Lacrosse Cell 4 Mens Lacrosse Arm Guards is a fully protected pad which features a high-definition polymer that provides padding with unique lightweight protection. The padding also fortifies the arm guard with protection from internal and external moisture dripping from perspiration or rain. It is a full-length design arm guard, with enhanced breathable sleeves for improved mobility. The sleeve covers most of the arm and elbow area; you do not need to worry about being slashed by an opponent stick. Inside the arm guards, you will find silicone nubs whose function is to keep the arm guard from slipping down or riding up. This arm guard is carefully molded to match your arm, and you can find it in six colors of black, grey, navy, white, royal and red. You will find something for your team. Furthermore, it has an adjustable elastic strap which allows customizable fit, a textured ballistic fabric which confers durability and ruggedness. This arm guard will outlast the season. The STX Lacrosse Cell 3 Arm Guard is one of the best lacrosse arm guards in the market. It is designed with a new Geo-Flex technology (pending patent) which gives you excellent flexibility at a lightweight. It also features a newly introduced hard plastic elbow cap for maximum stability in a contoured, low profile design. This arm guard is all about speed and protection. This arm guard can be worn by men and women of all ages, it comes in different sizes of small, medium and large. Manufactured from high-quality materials, what you get is a protective gear of high stretchability and durability. It will last several seasons. A strap in system ensures you have a wide range of adjustment, no more arm guard slipping down your body with an internal silicon hub making it a perfect fit. 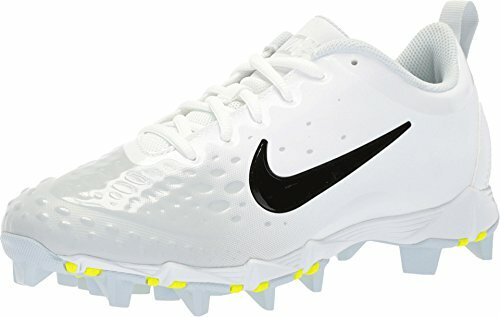 Afraid of being checked when trying to pick a ground ball? You do not need to anymore – this arm guard has forearm protection which absorbs shocks from such hard impacts. This arm guard is fantastic for all midfielders with a full-length sleeve which is breathable. The Warrior Burn Arm Pad is engineered with some of the most advanced protective technology on the market. It provides superior comfort and safety at the best possible price. If you are searching for high-quality shoulder pads, the warrior Burn is the perfect choice for you. Featuring a with a new segmented pad design which allows you to move the pad with your arm naturally. This helps to improve protection, movement, and flexibility. As well as, giving the arm guard a unique shape, and finesse. Giving it an overall precise look. 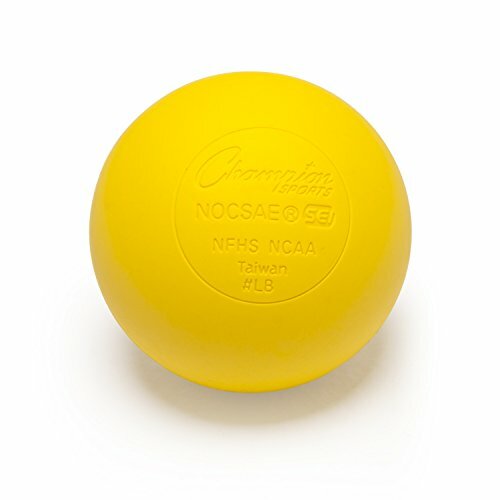 With essential features such as high density and lightweight in mind, it is designed with high-quality foam which makes for padding that absorbs impacts during play. It is one of the lightest and comfortable on the market. This arm guard provides maximum maneuverability with full-length sleeve providing flexibility, protection, and comfort. It is a Traditional 3-piece arm guard segmented to hug the shape of your arm for increased fit and zero slippage. Available in three colors of black, navy and white, you can choose any that matches your team style. The Brine Clutch Elbow Pad is one of the most unique looking arm protective gear on the market, but it does not in any way take away from the top level performance it provides. This arm guard is designed with attackers in mind, though it can also be worn by defense and middies. 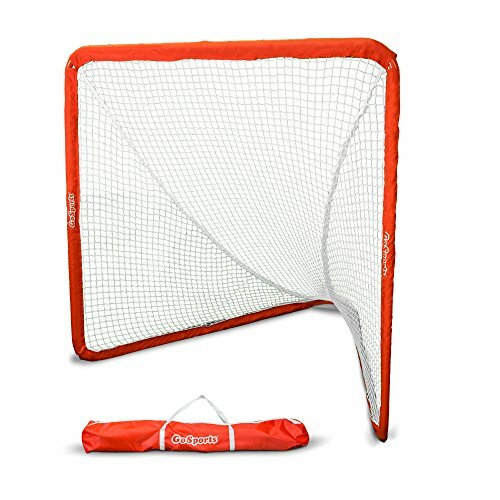 You will certainly appreciate the level of padding as it protects you from the torrent of slashes when taking fast breaks from the middle of the field. It is full cover and lightweight and comes with a single piece construction fortified with a Grid-Flex giving a flexible form fit. 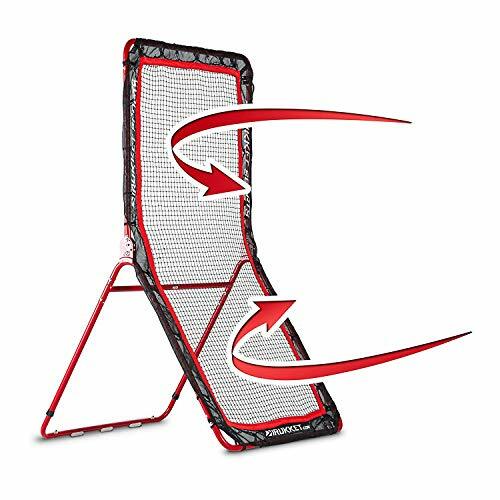 As you try to score a goal, this arm guard has a compression molded foam which makes it perfect for absorbing high impacts clashes, while remaining low profile and light. As an attacker, you need speed, and fast reaction time to score goals, the clutch line help you stay a step ahead of opposition defense. It will give you the ability to react quickly and beat your opponents to every spot. You will become faster without sacrificing comfort and strength. Some players are speedy and do not need the protection from a full lacrosse arm guard. Such players prefer speeding pass checks and would instead prefer their arms free for ripping top cheese. For this type of players, the extra length of a full arm guard will affect the ability to fire a shot or make a good pass. Meanwhile, some players like to back their way into the crease, or bull dodges through slides. If you run into slides often or you are a bull dodger, you will need better protection. So purchase a bigger lax arm guard. Because you play attack does not mean you do not need to gear up with a super protective arm guard. If you play without protection, then be willing to live with inevitable bruises that will come your way. At an advanced level, players often get better at avoiding nasty checks, while some become experts at soaking checks than others. If this is not you, do not allow your pride to get in the way. Sitting with the reserves with an injury can be frustrating. Invest in a quality lacrosse arm guard and adequately protect yourself. 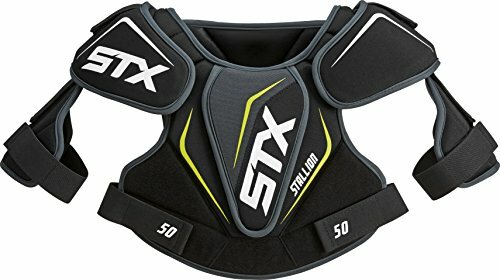 For the uninitiated, there is a slight between a lacrosse arm guard, lacrosse arm pads and lacrosse elbow pad, and it can significantly affect the way you play. Depending on the position you play, your pad requirement need will differ. Lacrosse is a high-speed game, being adequately protected can be the difference between nursing an injury and getting some burn time. This arm guard confer protection from just below your biceps to above your wrist. It always comes with a hard shell on the outside, and extra padding on the inside which keeps your arms save from slashes. This arm guard is usually smaller than those for other positions. It does not have a protective hard-shell on the outside, but it is more comfortable and allows the player to breath better. It also offers better maneuverability. These covers the arm area the least, and just about reach your elbows. This does not confer much protection, and you should not be touching the ball too often if you have this arm guard on. 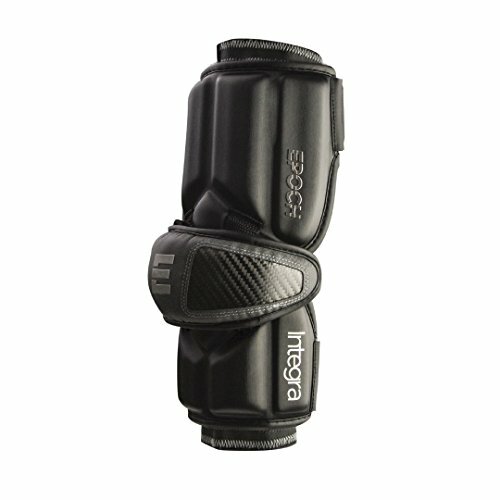 These arm guards are usually smaller and designed specifically for kids. 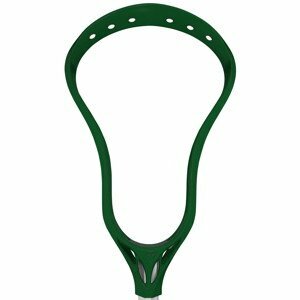 They come in small sizes designated as small or medium and youth or kid’s lacrosse arm guards. In the end, what you need from a lacrosse arm guard is protection and comfort. More padding translates to more protection but less mobility. Less padding, therefore, means more comfort and movement, but you better be ready to take checks in stride. The best lacrosse arm guard depends on the position you play, how you play, the amount of abuse you can handle and the position you play. Use the above buying guide to make your life easy, chose the correct arm guard that will help you perform optimally.